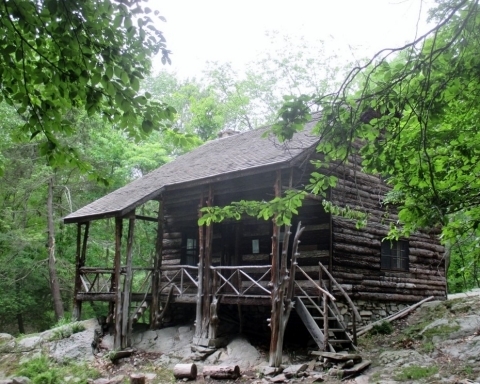 Prattsville, along the banks of the Schoharie River, is steeped in Catskills’ history. 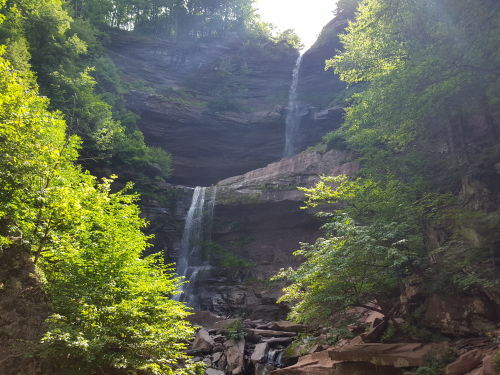 It’s emblematic of the most progressive aspects of the area’s history, and at the same time, it represents many of the mistakes people made as our region developed. Zadock Pratt was the towering personality in the town’s development. Even today his influences permeate the village. Pratt was a founder of the Catskill tanning industry. From 1833 to 1846 his Prattsville tanneries turned out shoe leather for the New York City market. His tanneries, however, were dependent on the bark of the hemlock tree, and when all of those trees were cut down, the industry closed. 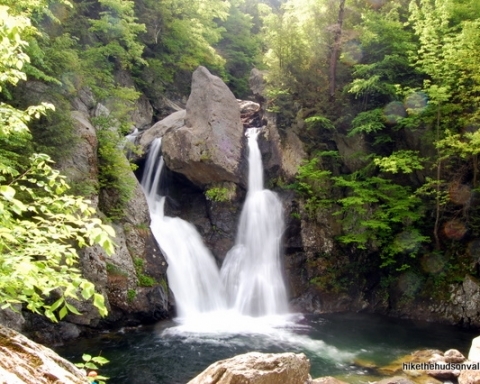 We frown upon the wanton destruction of the Catskill hemlocks that characterized the 19th Century, but our collective wisdom is based up a history of trial and error. It was men such as Pratt who provided the errors. But Pratt is also remembered for progressive attitudes toward urban planning. His Prattsville was a pioneering effort in the field. He laid out the streets, built the Greek Revival style homes and planted the 1,000 trees that lined the village streets. Pratt founded churches and the town’s academy as well. Prattsville today is still truly Pratt’s town. Zadock Pratt was a great man, but I suspect history would have mostly forgotten him except for the one singular act of vanity he was responsible for. 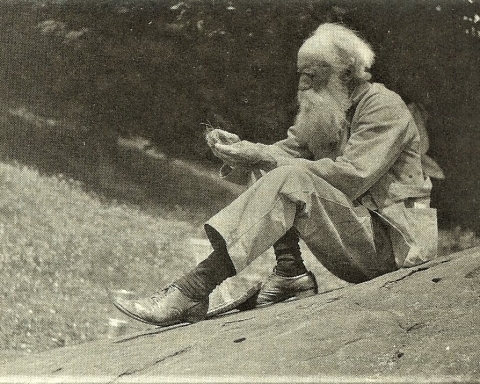 Pratt, the Rameses II of the Schoharie Creek Valley, is remembered for Pratt Rock, his would-be tomb. Pratt Rock consists of a series of stone carvings on a glacially cut cliff along State Route 23, just east of town, and overlooking the old Pratt farm. The site is now a town park and open to visitors. You can hike the winding path up the steep slope toward the main carvings. If you tire along the way, you can sit up stone seats thoughtfully carved into the rocks of the mountain. The main level of carvings displays images and symbols of Pratt’s life; there are carvings of the hemlock tree, a horse which hauled the bark to the tanneries, a strong arm to do the work, along with other emblems of the great man’s life. There is a poignant carving of his only son, who died in the Civil War. 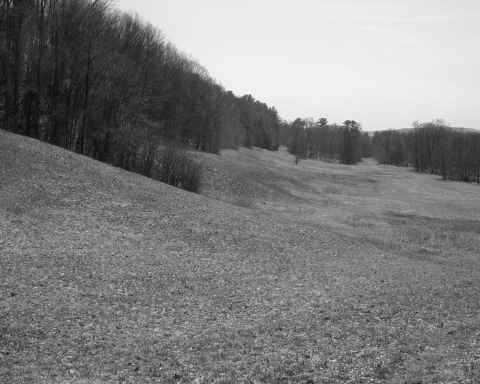 Then there is the Pratt burial chamber, the point of it all. Unlike the pharaohs, Pratt was never buried in the grotto carved out for him. One story is that the chamber was rendered unsuitable for burial by the fact that its roof leaked when it rained. The chamber is still there, and when I looked it over, I found there may be some truth to that tale, along with a good geological story about Pratt Rock. 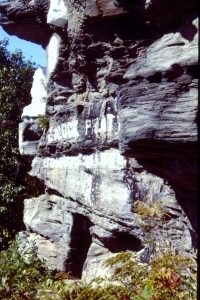 Pratt Rock is carved into sedimentary strata from the old Catskill Delta. Deposited nearly 400 million years ago, the sediments here record the coastal regions of a delta similar to that of the Mississippi River today. 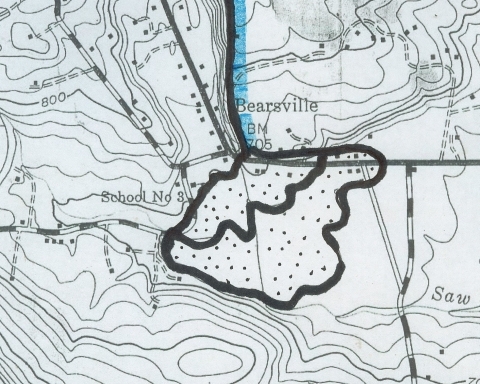 This was once the coastline of the old Catskill Sea. Rivers flowed, back and forth, across this location and emptied their waters into the old ocean. There is thus a lot of geological history here. I had little trouble finding bits and pieces of the old Gilboa Forest, and I could picture its foliage along the old stream banks. But the most interesting horizons I found were those at the burial chamber. The ceiling of the chamber is made up of inclined strata. These horizons of rock formed on the sloping floor of an old stream channel. The beds slant down to the right, away from which was once one side of a river, and farther along the outcrop, they rise up again onto the river’s other shore. When I looked at the chamber ceiling I found a horizon rich in a hash of broken plant remains. This stratum is likely porous and it’s quite possible that accounts for the leakage that caused the burial project to be abandoned. The pharaohs of arid Egypt faced no such problem. And so it is that this in one of the many ironies of geology. 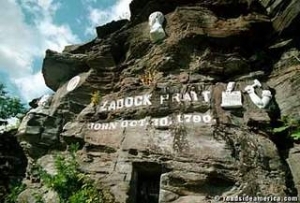 The great Zadock Pratt is buried in a nearby graveyard with all the common folk of old Prattsville. That indignity may be because about 380 million years ago some inconspicuous river made a wrong turn. It’s not Pratt buried in Pratt’s tomb, but the sands of an ancient river! 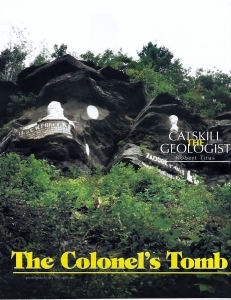 Contact the author at titusr@hartwick.edu Join his facebook page The Catskill Geologist.